Do you miss the glory days when your Mac was running at full speed and with no glitches? Well, what happened to that now? If your Mac is running slow, there’s no fun in using it anymore. It might even cross your mind that it’s high time to upgrade your current Mac to a new one because you’re frustrated on your computer’s current state. Before you jump ship to a new one, you should at least know the reasons why your Mac is processing very slowly. You don’t have to make a rash decision because your Mac’s poor speed can still be fixed. Are you one of those people who constantly click the “ignore” button every time a system update pops in every now and then? Big mistake! No matter how burdensome and annoying they are, it’s a must that you regularly update any software to boost your Mac’s overall performance. It won’t take you 10 minutes to install these updates and get over with it. Don’t hesitate to click on the software update in the Apple menu so that your system becomes protected with serious threats. If you somehow missed an update, just click on the “software update” on the Apple menu. You may also schedule these software update instead of manually clicking them by yourself. If you continue to ignore these regular updates, then don’t be surprised to hear yourself complain about your Mac running slowly. The most common mistake that most Mac users do is they open a bunch of applications and programs at the same time without any thought of your OS’s speed. Loading too many applications will slow down your Mac especially if your hard drive is low on memory. Unless you delete a couple of useless applications to make room for your hard disk, opening too many files will burden your Mac’s capacity. The solution: load at least two applications or windows. You may be too fond of installing several applications and software without much thought of its gigabyte capacity. The more apps you have inside your Mac, the more it takes up the memory. Storing a lot of files is never a good thing especially if some of them are practically useless. Nobody likes a slow Mac, but the memory overload may be too much for your Mac, so the only thing you can do is perform a system’s clean up – get rid of those junk inside your hard drive to save lots of memory space! Now, cleaning your Mac is easily said than done. Cleaning your Mac may take up a day or two especially when you’re doing it manually. So it’s time to invest on a Mac cleaner so that it will automatically do the work for you. 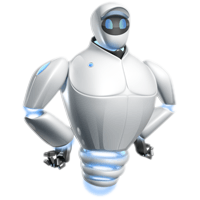 It’s highly recommended that you get a MacKeeper to clear out rubbish, especially the unbundled files. If you noticed that your RAM is not enough to fully run your Mac, it’s definitely time for a RAM upgrade. Now, this might be harder because buying a RAM is very expensive. However, having an additional RAM will speed things up on your Mac. To identify if your Mac needs an upgrade, simply check your System memory tab and see the pie chart. If the chart turns red or orange, it means that your Mac does not have enough RAM. Because RAM is serious money, you may have to look for easier options first by using a Mac cleaner to get rid of unwanted files so that there will be more space left on your hard drive. Don’t you find it annoying that you’re seeing a lot of icons on your Mac desktop? It’s just like entering somebody’s messy bedroom and you trip and fall because everything else is all cluttered. You’ll have a hard time navigating through your desktop because of these icons, files, and data. Letting them stay on your desktop also triggers a slow Mac, so do a little bit of upkeep and store some of these files in specific locations. Do some organizing and make your desktop look neat. We already mentioned that its time to clear your desktop because its slowing your Mac. So if you are one of the few who likes to store a lot of Mac widgets, then you’re in a lot of trouble. Saving a lot of widgets will also eat up your memory, thus, slowing your Mac’s speed. No matter how fun or entertaining they are, they are simply a waste because they are contributing to your Mac’s slow speed. To check the memory usage of your widgets, utilize the Activity Monitor and get rid of bigger and unused widgets through the Dashboard Control Panel. Animated wallpaper, particularly those that carry big huge bytes will slow your memory, so your Mac ends up loading slowly. Although there’s nothing wrong with using a cool wallpaper to make your desktop less boring, but it’s still a waste of space. Opt for a basic background display to make your desktop appealing. There are instances where you encounter permission conflicts on software, program, or an application. All files in Mac OS X are configured with permissions to detect which users can have access to these applications. But there are times when permissions fail so the applications do not work, and this will affect your Mac’s speed. To correct these permissions, you may utilize the Disk Utility application which can be found in the Applications/Utilities tool. Another factor to consider why your Mac is working slowly is because of these temporary Internet files, otherwise known as the cache files. For those who are not familiar with cache files, they are files taken from the loaded pages while you’re surfing the Web. So for instance, you clicked on a photo from the web – that file is already kept on to your cache file folder. Once you have too many files in your cache, your Mac has trouble loading. It’s better that you delete your cache files by emptying the internet history on your web browser. Now that you’ve gained enough knowledge on the reasons for having a slow Mac, you have a chance to redeem your Mac by repairing it to save you money and keep your computer or laptop at a maximum speed.